A Membership Meeting was held on Wednesday, June 15, 2016, at the Congressional Cemetery Chapel with Paul K. Williams, President, Historic Congressional Cemetery as the speaker. Mr. Williams provided a brief history of Congressional Cemetery and speak about the people (interesting and sometimes infamous) who are buried there. 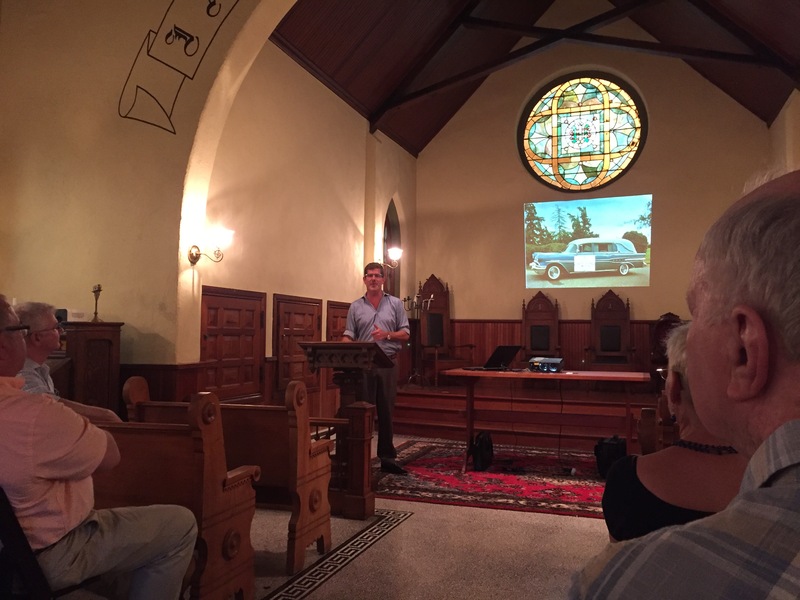 The talk addressed the challenges of operating and maintaining such a large, historically significant, yet also active cemetery – especially the continual challenge of raising the funds necessary to cover the Congressional Cemetery’s annual costs. Some of the more creative means include selling honey made by the cemetery’s own bees and the annual Dead Man’s Run race. The Canine Corps is a partner in many of the fundraising efforts; for a fee, dogs can be registered as members and run off-leash. There are other dog-related activities: Day of the Dog (a festival for canine companions) and pet photos with Santa are just two examples. The presentation was preceded by brief business meeting where the results of the Board election were announced. The Cemetery’s main entrance is at 1801 E Street, SE.